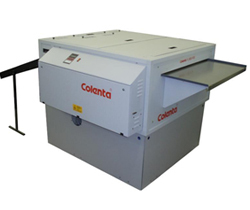 The Colenta NG - PCB Film Processor is a fully automatic “dry to dry” processing system designed to provide consistent high-quality film production for the range of PCB films commonly used in the industry. 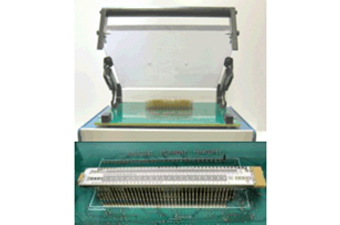 The processor design incorporates a non-opposed, submersed roller transport system with minimal contact to the film emulsion and with intermediate wash water crossovers that safely transfer the film between each stage of processing before delivery onto a flat receiving tray located at the exit of the dryer. Wide Track PCB Processor range, offering 140 and 200 cm processing width. Processing capacity: 80cm / min processing capacity @ 40 sec Dev Time. 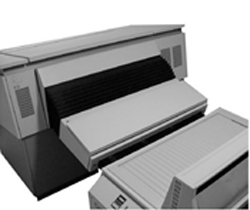 The NG Processor is available in 35, 56, 66, 80, 95 and 110cm process widths. 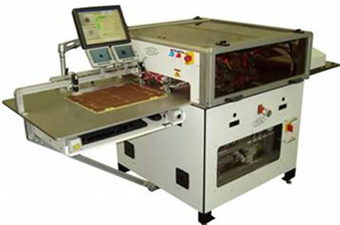 In Offline (manual loading table) or online format (auto loading) to support all major PCB Film Plotters available on the market. The MC is a multipurpose semi-automatic device for accurately mixing chemical concentrates with water, for transferring mixed chemistry into the processor tanks and to store replenishment solutions that connect directly to the processor replenishment pumps without the need for additional storage tanks. An automated system used to recover silver from the waste Fixer solution before disposal or re-use, suitable for NDT, PCB and Medical Imaging applications. A specialized range of liquids designed to help operators keep their processor clean and in good operating condition. Including filter, flow meter, thermometer and pressure gauge. Supporting 2 water outlets, one to be used for supplying wash/cooling water to the processor and one additional outlet for use during service, cleaning and chemical mixing procedures. When installed onto a PC, will allow the processor status and working parameters to be monitored remotely. 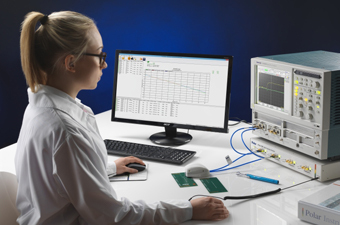 ATtenuation Loss Analysis System is new test solution for PCB fabricators to test PCB transmission line insertion losses in a tightly controlled production environment. ATLAS 2013 now includes a dedicated intelligent ESD protection unit, new ergonomic probe housing and updated version 13.04 sofware with a raft of new feature enhancements. ATLAS 13.04 software interfaces with industry standard Tektronix DSA8300 oscilloscope TDRs and supports INTEL developed SET2DIL (Single Ended TDR to Differential Insertion Loss) and SET2SEIL (Single ended TDR to Single Ended Insertion Loss) test methodology for extraction of differential insertion loss from a single ended test and suitably designed coupon. Atlas 2013 is compatible and upgradeable to IBM developed SPP (Short Pulse Propagation) test methodology which will be released soon. Also available as ATLAS PCB for performing industry standard CITS style controlled impedance testing using Tektronix TDRs. C Gen Plus—Auto Coupon Generator for SET2DIL Lossy Coupons. CITS880s system is the 9th generation impedance test system from Polar Instruments Ltd, UK. It is a solution for fabricators who need to measure impedance on fine traces and thin copper. CITS880s features Launch Point Extrapolation (LPE) that extrapolates the TDR response to a point close to the start of the transmission line effectively aloowing users to measure the instantaneous or incident impedance of the line more acccurately. In addition to the LPE the CITS880s is also capable of measuring shorter traces - typically 2-3 inches shorter than previous generation of the CITS series. CITS880s now ships with completely re-engineered IPS and IPDS high speed probes whcih reassuringly are precision moulded with ESD dissipative materials to give maximum protection to your CITS. 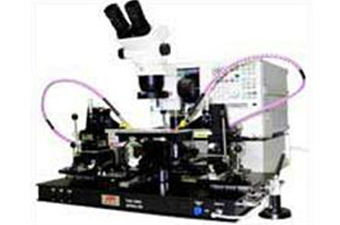 Polar IPS and IPDS high speed probes are specifically desgined for CITS880s. They combine revised internals with more robust mechanical design and enhancements to the signal path, along with ergonomic precision mouldings in 100% ESD dissipative materials. IPS and IPDS probes are easily identified and contrast with previous generation probes by the use of the blue labels and blue resists on the probe tip interface. Click here to see what's new in the CITS880s. With the ever increasing demand for higher speed on PCBs design pre layout engineers are required to model losses on critical high speed transmission lines. 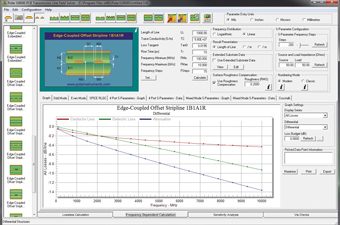 Si9000e offers fast, accurate frequency depended modeling of losses on PCBs and allows you to simulate Copper and Dielectric losses, RLGC matrix and S-Parameters on various impedance structures. 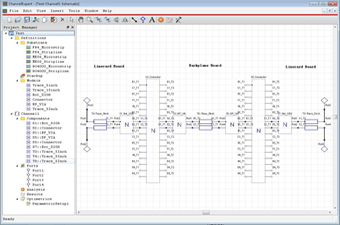 Si8000m uses boundary element analysis to compute the controlled impedance of a given PCB track structure.The tool is used widely in the PCB design, layout and fabrication industry globally. 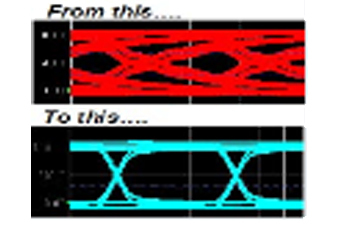 It’s simple to use quick solver interface and the in-built graphic options gives designers a powerful tool to perform complete design for lossless transmission lines. Also available as Si8000m+IM (interface module) for integration with other third party OEM solutions. CITS880 systems is the eighth generation Impedance test system from Polar Instruments Ltd, UK. CITS880 is based on robust and proven TDR head technology similar to the one used in most popular industry standard CITS500 and 800 series TDRs. 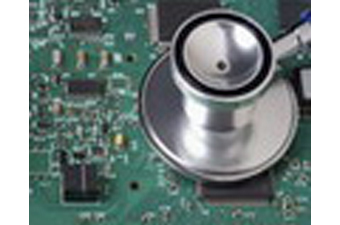 CITS880 offers a robust hardware that is resilient to static and is ideal for use in high volume PCB manufacturing environment. CITS880 provides high accuracy and repeatable impedance measurements of differential and single ended traces using standard 4 channels to provide flexible probe connection. Now available with Polarcare and Polarprotect program that extends the warranty and support for the ESD sensitive system. 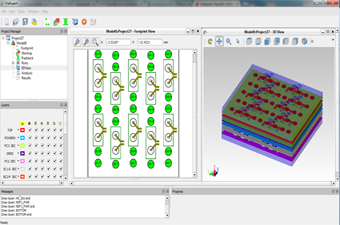 Speedstack is a simple tool that allows PCB designers and fabricators to design and document stacks for multi layered PCB boards complete with impedance, drill, materials information. 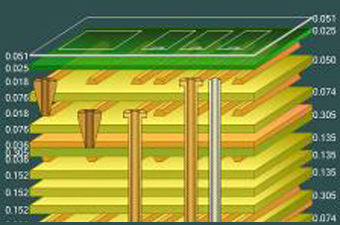 Autostack option allows automated design of stacks by specifying key design values like board thickness, layer count, electrical layers types and impedances. Polar has now released the new Speedflex option that allows design of complete flexi-rigid boards. Speedstack now supports IPC 2581 Rev B.
POLAR launch new Xhatch Flex Enhancement (XFE) for its 2D field solvers Si8000m and Si9000e to simulate the effects of cross hatched planes commonly used in flexible PCB circuits. 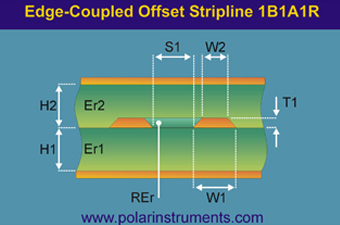 Accurate simulations can be now performed for lossless controlled impedance structures using Polar's proprietary multi-pass simulations that corrects for the fine geometries and flex material variations. C Gen (Coupon Generator) is an automated tool to generate Controlled impedance coupons from multi layer stacks. The tool can be used in standalone mode with Si8000m / Si9000e or with Speedstack PCB / SI to automatically generate impedance coupons that can then easily exported out to the CAM software for production. GRS550 - is the new semi-automated Graphical Repair System used for identifying faults on defective boards using the time proven Nodal Impedance (VI) analysis by comparing test signatures from golden reference boards. Ideal for low volume high value production or R&D prototype testing and field returned repairs on high density loaded circuit boards. The redesigned GRS550 flying prober now comes with the latest state-of-the-art electronics controls and camera vision system. Other options supported include Active Test for power on functional testing using National Instruments (NI) LabVIEW and Active Vision Test for automatic optical inspection using National Instruments (NI) Vision test solutions. It also supports Boundary Scan Test using industry standard GOEPEL tester. 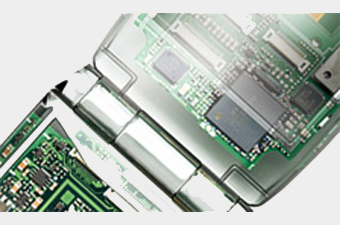 Polar's world famousToneohm 950 helps to identify different types of shorts on a loaded / bare circuit boards. It’s unique Vector Plane Stimulus (VPS) technique enables to identify plane to plane or track to plane shorts in quick time. Toneohm 950 is widely used in the PCB repair, troubleshooting and manufacturing industry for short location. 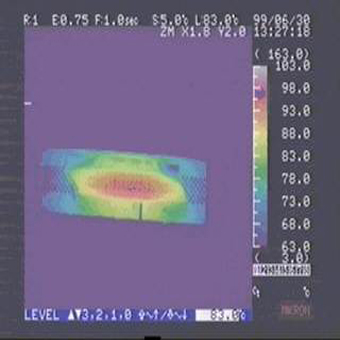 IST is an accelerated stress test method that overcomes the limitations of thermal oven or liquid / liquid methods, IST has the capability of effective / rapidly quantifying the integrity of both the Plated Through Hole (PTH) and the unique ability to identify the presence and levels of post separations within the multilayer board. IST creates a uniform strain from within the substrate, the interconnects ability to distribute and redistribute this strain provides an indication of integrity. The plated barrels and inner layer junctions are “exercised” until the initial failure mode/mechanism is uncovered. Following several years of intense evaluation, the IPC have approved the IST technology as the first electrical test methodology for assessing plate through hole integrity and for the detection of post separation. The IST methodology is issued in the IPC-TM-650 Test Methods Manual. 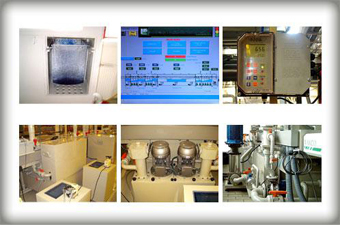 IST has become the leading test standard for via and material reliability. Top OEMs, ODMs, CDMs, Material and PCB manufacturers around the world use IST technology to test new materials and processes. IST-HC - New Eight Head Dual Sense IST-High Capacity System. Contact us for more details. PWB Interconnect Solutions Inc. has developed a tool that automatically measures and analyzes changes in material properties that signify whether damage was caused by exposure to the elevated temperatures associated with component assembly and possible reworks. This unique technology complements their IST testing capability. The principles used by this tool have proven to be an effective methodology in determining whether the materials used in printed wiring boards are capable of withstanding the cyclic exposure to temperatures that exceed the materials inherent robustness. The key to successfully design of high speed PCBs is to know the right Dielectric (Dk) and tan Delta value of the pre-preg or core material used for manufacturing the PCB stacks. Currently designers / manufacturers rely on material data provided by the manufacturers. 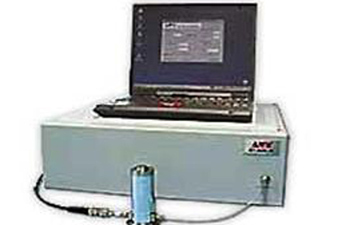 The Microwave Dielectrometer from AET, Inc enables fast and non-destructive measurement of dielectric materials of various shapes, including thin-films, by using an evanescent mode of an open coaxial resonator. A built-in feedback oscillator circuit enables accurate measurements with an easy step-by-step operation. Accuracy is achieved by combining a high Q cavity, a highly accurate measurement algorithm and the 3D electromagnetic simulation software. 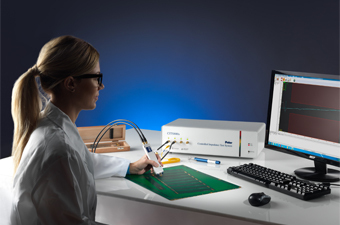 Measurement of losses on PCBs, connectors and ICs require careful set-up of high frequency probes to make accurate measurements using Vector Network Analyser (VNA) or Time Domain Refelectometer (TDR). The Probe station from AET, Inc. has a probing stage and a micro positioner that can be adjusted on the X-Y-Z-theta directions, and can probe samples of various shapes and sizes. 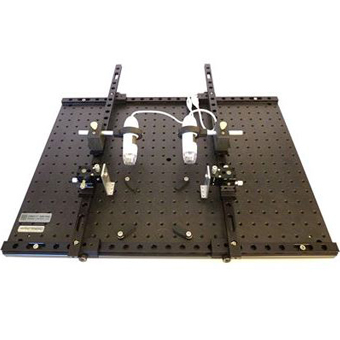 A custom designed probing fixture allows the use of air coplanar, semi-rigid, or differential active probes. A TRL/LRM calibration kit are designed and manufactured. 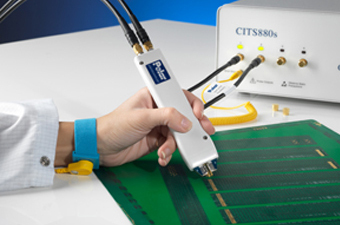 The probe station can be used for measurement of losses on PCBs and semiconductor wafers for RF circuits. Polar Asia Pac in collaboration with Eric Bogatin of Bethe signal.com fame, Hermann Ruckerbauer of Eye Know How, Ransom Stephens of Ransoms Notes and Al Neves of Wild River Technology can offer offer a comprehensive range of customised in-house training courses and programs to specifically suit your organisations human resources technical training needs. Contact us for more details in-house customised training programs. Download Brochure. 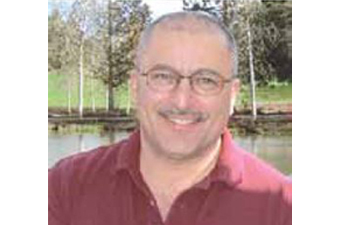 Dr. Eric Bogatin received his BS degree in physics from MIT, and MS and PhD degrees in physics from the University of Arizona in Tucson . He has held senior engineering and management positions at Bell Labs, Raychem, Sun Microsystems, Ansoft, and Interconnect Devices. 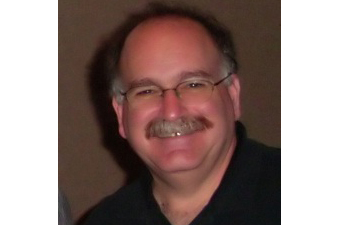 Eric has written five books on signal integrity and interconnect design and over 300 papers. He has taught over 4,000 engineers in the last 25 years. His sixth book is a science fiction novel, Shadow Engineer, available on Amazon.com. Eric is currently a signal integrity evangelist with Bogatin Enterprises, which specializes in signal integrity training and education. He is a distinguished lecturer for the IEEE EMC society and lectures world wide on signal integrity topics. Bogatin Enterprises is now a wholly owned subsidiary of LeCroy Corportion USA., who are world's leading solution provider for high performance measurement and analysis tools. Polar Asia Pac in collaboration with Bogatin Enterprises LLC, USA can offer a comprehensive range of public classes and customised in-house training courses and programs to specifically suit your organisations human resources technical training needs. 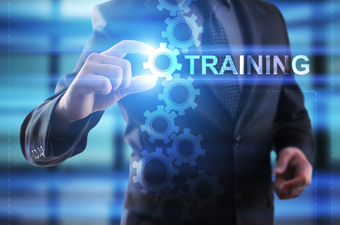 This 2-day, advanced training class will bring you "up to speed" on how to design the physical interconnects of your channel to improve signal quality and achieve the bit rate you need. We eliminate the myth-conceptions that dominate the industry and show you the right way of designing differential that operate over 15 Gbps. Build your engineering intuition with this one-day class designed and offered by Signal Integrity Evangelist Dr. Eric Bogatin. In this class, you will learn an efficient process to design signal integrity problems out of your next product, right from the beginning. This process is based on identifying sixx famiies of signal integrity problems, their root causes and the deisng guidlines which eliminate these problems. The most essential principles of signal integrity will be introduced and reviewed. More.. 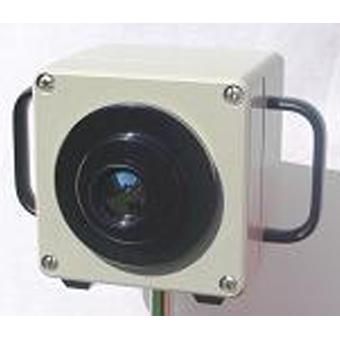 The 222 is a calibrated, radiometric, real time thermal imaging camera. It requires little power and needs no cryogenic cooling. It uses an amorphous silicon microbolometer detector and produces 160X120 pixel images. 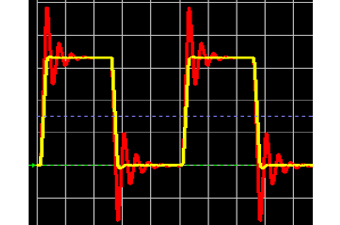 In an IST evaluation, testing automatically stops when a circuit reaches a 10% increase in resistance. The failing coupons have circuits that are still electrically conductive but have a modest increase in resistance. Now, since the test stopped well before catastrophic failure it is still possible to identify the exact microvia that is contributing the highest resistance to the circuit using thermo-graphic techniques. This process is called 'Failure Location' and involves the use of the 222. Since the failed circuit has only experienced a 10% change in resistance, a DC current can be applied causing the failing interconnection to heat. The compromised via has a higher resistance, compared to other connecting traces and so it will become the hottest structure in the coupon. The thermographic 222 camera allows direct visualization of the exact location of the hottest microvia. The worst case failing microvia is seen as high temperature hot spot on the surface, thus making the COMPIX 222 a powerful tool. This 2 Day advanced signal integrity training class thoroughly reviews the design process and principles to reduce reflection noise and cross talk to acceptable levels. The design principles in this class are most suitable for single-ended and differential designs under 2 Gbps. Design rules for robust design, routing topology and termination strategy are some of the questions answered in this class. More..
One of the biggest challenges in the production of PCBs has been layer-to-layer registration on very tight tolerance and complex PCB, current pinning processes make it difficult to meet today’s PCB tight registration requirements. The introduction of optical alignment has now made it possible for many PCB manufacturers to move up the technology curve while lowering their production costs. 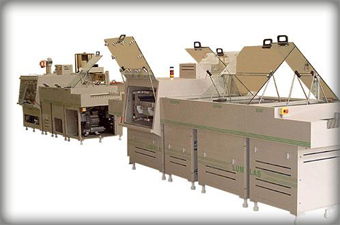 DIS Technology Inc., USA produces multilayer registration systems with automatic-optical registration of the highest quality. DIS have over a decade of experience with difficult multi-layer builds, more than any of other competitors. DIS has successfully processed thin cores down to 25um (1mil), sub-laminations with micro-vias, delicate copper foil layers with holes etched into it, Teflon based materials (Rogers and Taconic), polyamide bond ply, and flex boards. DIS systems can process boards up to 52 layers, having mixed cap and foil construction, thin cores, sub-laminations and copper foil all in one panel. It can successfully weld heavy copper layers (up to 3 ounce) and light copper (down to 1/3 ounce) layers. Direct Optical Registration system PRS. The PRS Direct Optical Registration System allows for optical lay-up of multilayers and sequential lamination build up technology. Three different processes take place in one unit; lay-up, layer to layer alignment and welding that helps to eliminate added tolerances associated with pin lamination systems. Ability to check the registration of welded panels - pre and post lamination. Eliminate lamination pins or tooled lamination and separator plates. Front Range offers a series of probing and inspection stations that give quick and adaptable methods of contacting and inspecting circuit cards and modules. The probe ranger's design enables it to meet the demands of high frequency electrical measurements as well as present an affordable and cost effective solution for a wide array of signal probing and inspection applications for both bare and loaded high speed circuit boards and modules. Polar Asia Pacific in colaboration with Ihara Electronics Co. Ltd, Japan presents ACCULINE a truly portable, light weight, battery operated, digital line width and spacing measurement system. ACCULINE's built in colour LCD display allows operators to make quick, accurate and repeatable measurements for top and bottom line width and spacing for fine line single ended and differential controlled impedance traces. 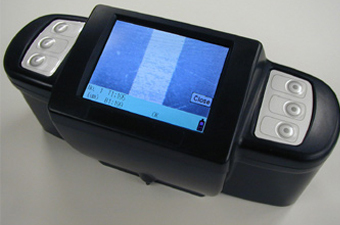 ACCULINE is a high performance and reliable product which utilizes advanced micro computer technology and colour LCD image sensor to ensure superior performance and measurement reliability. It is a battery operated tool offering a truly portable unit that makes operation easy at any location inculding dark rooms with low visibility. The large LCD displays real line images that can be transferred to a PC, using a USB port, for further analysis. Usually operators rely on skill to make measurements using a microscope and this can result in varied results for different operators. ACCULINE's automated measurement algorithm provides accurate and repeatable results in its place. Legend Design USA offers MSIM PCB, a high speed and highly accurate SPICE Simulator. It is an industry proven simulator with optimized algorithms to deliver unparalleled accuracy, performance and value. 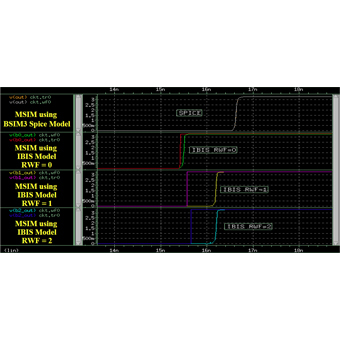 MSIM can be used for a number of design verifications like Analog circuits, Mixed Signal Circuit and RF Design. Is is an easy to adopt software which integrates with ease into any design enviroment including waveform analysis and zipped file inclusion. 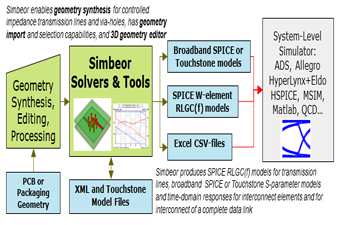 MSIM PCB complements Simbeor to perform SPICE simulation & verification on an entire channel design. MSIM is an industry proven SPICE simulator with optimized algorithms to deliver unparalleled accuracy, performance and value. 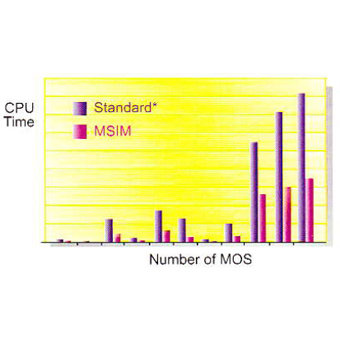 TSMC has certified MSIM for accuracy and performance on advanced nanometer circuit design. MSIM can be used for a number of design verifications like Analog circuit, Mixed Signal Circuit and RF Design. In addition its applications also include cell library and memory characterization, LCD simulation and PCB and package signal integrity simulation. It is an easy to adopt software which integrates with ease into existing design environments including waveform analysis and zipped file inclusion. It also provides the user with co-simulation capabilities by combining Verilog-A behavioural descriptions with transistor-level netlists to speed up simulation. Built-in RC reduction modules enhance performance while maintaining high accuracy. 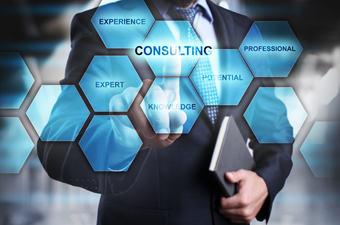 The main benefits that MSIM provides its users are high accuracy, fast speed, excellent convergence and model support and outstanding value for money. 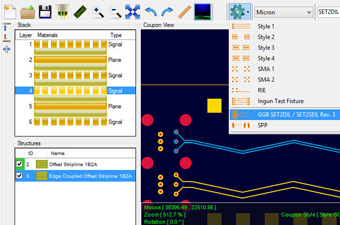 MSIM PCB complements SIMBEOR to perform a SPICE simulation & verification on an entire channel design. 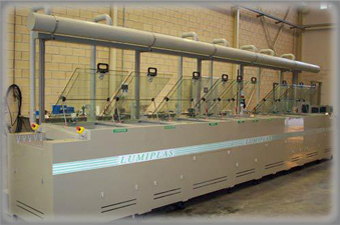 Lumiplas S.L., Spain is one of world’s leading company providing entire range of wet processing systems for the past three decades to customers in Europe. 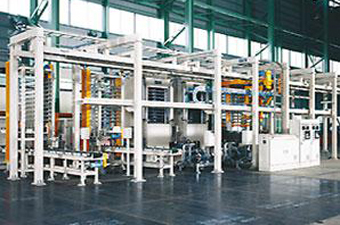 Lumiplas provides patented solutions for wet processing applications, including alkaline etching, acid etching, developing, horizontal metallization process (black hole, shadow, etc), chemical tin process, chemical silver process, film stripper, tin stripper, de-smear, high pressure chemical wash, dryers, etc. 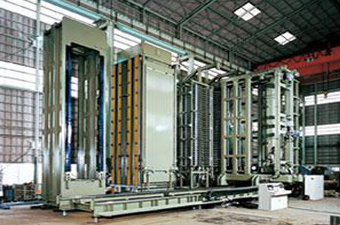 Process: Electrolitic tin process, Electrolitic silver process, etc. 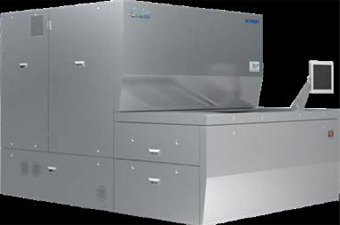 Kitagawa Seiki, Japan is a leading supplier of proprietary thermal, pressure, control and other advanced technologies vacuum press to develop and manufacture innovative, high-performance, high-quality PCB and CCL products. 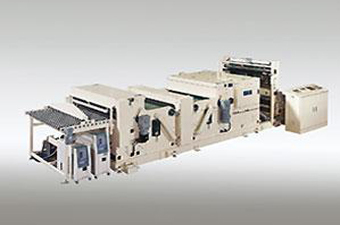 Kitagawa develops and manufactures press-related machinery for a wide range of applications including copper clad laminates, fabrication of printed circuit boards for use in mobile communications, home appliances, car electronics, and satellites. By developing and designing machinery and control systems to meet specific customer needs, we are helping to improve production efficiency. Customised specifications to meet specific customer needs. Presses are subject to minimal age-related deterioration, ensuring consistent high-quality products over its life cycle. 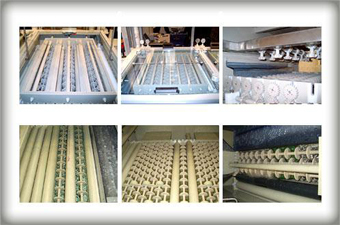 Proprietary technology minimizes strain, enabling production of higher quality products. No. 1 global market share for large vacuum presses for making CCL. Kitagawa Seiki's proprietary cutting technology reduces the flying of resin chips and prevents breakage of resin edges. Minimal possibility of damage due to cutting dust being carried over to the next process. 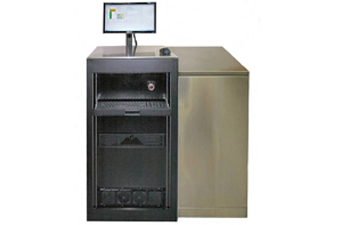 Installation of an optional surface inspection unit enables detection of prepreg defects. SCREEN Graphic and Precision Solutions Co. Ltd, is the leading manufacturer of Direct Imaging systems from Japan and has over 270 installations globally. 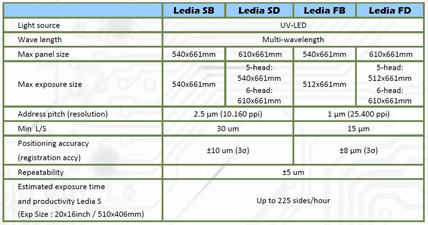 LEDIA DI Direct Imaging system delivers field-proven high precision accuracy, reliability and throughput to PCB manufacturers with an estimated 70% market share amongst the largest global PCB manufacturers. LEDIA DI systems are now available in India exclusively through UCAMCO B.V, Belgium and Polar Instruments (Asia Pacific) Pte Ltd, Singapore. These systems are supported by Ucamco & Polar local network of highly skilled sales and support engineers. 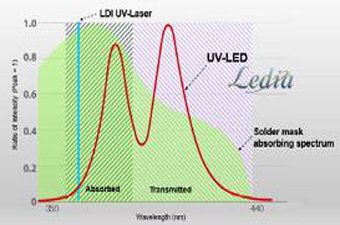 UV-LEDs with three wavelengths are now combined in the Ledia light source. The wave-length range from 350nm to 440nm enabling the energy diffuses optimally throughout the resist layer. The user can set each wavelengths power individually to achieve optimal imaging for resist or solder mask type. 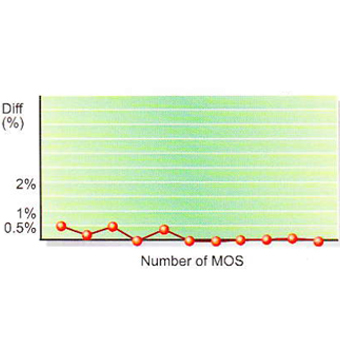 The result is high throughput and unrivalled quality that deliver 50µm solder mask dams without any noticeable undercut. 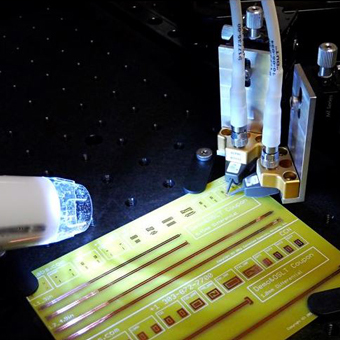 The combination of three wavelengths UV-LED allows different types of resists to be imaged using an optimal output ratio using wavelength modulation. 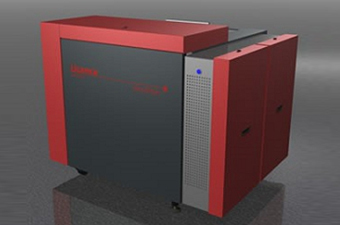 Compared to a standard direct imaging system, the LEDIA enables manufacturers to pursue even higher imaging quality. The system supports cutting-edge technologies, including a high-precision auto-focus function and alignment algorithms that compensate for various types of substrate distortion. The adoption of UV-LED technology as a light source results in considerable lower consumable cost compared to conventional laser direct imaging systems. Also the LED’s are only active when physically imaging panels, resulting in an even longer LED life time. Rationalization of manpower by simplified mask manufacturing process. Shortened turnaround time achieved by simplified manufacturing. Easy and flexible process control. High precision and high accuracy patterns. Easy management or control on individual board. UV-LED technology in combination with multi wavelength LEDs delivers high throughput with the highest quality for your solder mask applications. The different wavelengths have peaks in both the absorbed and the transmitted wavelength areas of the spectrum of the solder mask inks. This allows even polymerization at the top as well as the bottom of the solder mask layer, resulting in a fully polymerized layer with optimal adhesion to the substrate. Simberian Inc., USA offers SIMBEOR a 3D electromagnetic signal integrity tool for simulating and analysing the entire interconnect link. It offers an industry first measurement-validated tool to synthesis controlled impedance geometry for transmission lines and vai-holes, to build advanced electromagnetic models for all elements of PCB and packaging interconnects and to simulate a complete data link in frequency and time domains. The accuracy of the models is ensured by use of advanced algorithms for 3D full wave analysis, benchmarking and experimental validation. It fits any design flow as system interconnect budget exploration tool, interconnect verification tool or a Touchstone model clean up and macro-moedlling tool for automatic S parameter extraction. This two-day class, designed and offered by Signal Integrity Evangelist Dr. Eric Bogatin, shows you how to unlock the power of S-Parameters for signal integrity applications. This class enables you to tap into the secrets locked inside S-Parameters and walks through the details of interpreting the measured or simulated results of 1-port, 2-port, or 4-port S-Parameters as single ended, differential in the frequency domain and the time domain. Al has 30 years of experience designing and application development of semiconductor products, capitol equipment design focused on jitter and signal integrity analysis, and recently has successfully been involved with numerous business developments and startup activity for the last 13 years. Al is involved with the Signal Integrity community as a consultant, high-speed system level design manager and engineer. Recent technical accomplishments include development of platforms and methods to improve 3D electromagnetic correspondence to measure-based methods, including advancing time and frequency domain calibration methods. 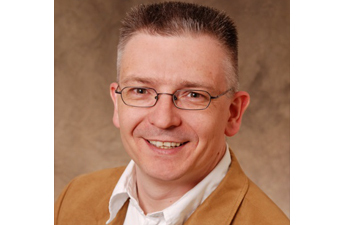 Mr. Ruckerbauer has over twenty years of experience in high speed measurement and simulation especially on DRAM related interfaces. After receiving his Bachelor Degree in Micro System Technology from the University of Applied Science in Regensburg he was doing design analysis and application testing for several memory generations at Siemens/Infineon. He holds many patents and was awarded in the category 'Outstanding Single Patent' for the patent on the “Temperature dependent Self Refresh” in DDR Memory devices from Infineon in 2005. Dr. Ransom Stephens, Ph.D. is the author of over three hundred articles in the electronics industry, science journals and magazines on subjects ranging from the analysis of electrodynamics in high rate digital systems to fiber optics to quantum physics. As a research physicist and professor, he worked on experiments at universities and laboratories across the US and Europe making precise measurements of messy signals. After being awarded tenure, he shifted to private enterprise where his expertise in signal integrity analysis of electrical and fiber optic systems. Led to new jitter measurement techniques and methods for extracting signals from noise. He has served on the electrical working groups for several high data rate standards including PCIe and OIF CEI. 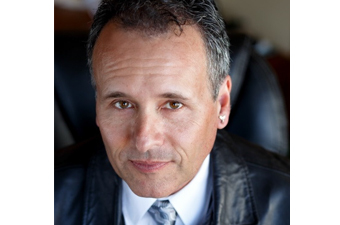 Ransom is an entertaining teacher with a legendary reputation for delivering a clear understanding of complex topics. It is a 7th generation sales and engineering tool produced by Ucamco NV, Belgium. It is used for automated data entry and desgin analysis in a pre-CAM environment through which information can be received quickly and accurately for product engineering and the purpose of generating quotations by the sales/engineering team. it helps the user to manage his time by facilitating in generating complete CAM data at the beginning of the tooling process. UCAMCO offers a range of photo plotters which are renowned for their high accuracy, throughput and reliability. Available in a choice of “drop-in” models for customers who want the highest plot speed, or the finest features (down to 5 micron), or the best all- round combination of speed, resolution and price. With its unique optical system you can plot the tightest tolerance designs with pin sharp quality. Multiple plot resolutions deliver the optimum setting for every image. 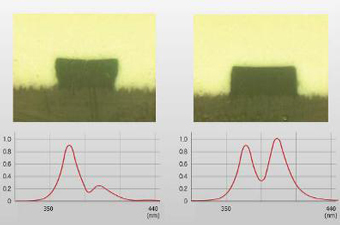 UCAMCO’s unique imaging functions, syntectic modulation and submicron pixel placement, eliminate the rounding errors found on conventional plots and guarantee optimal line width accuracy. Dynamic beam positioning and the patented stress free film loader ensure an unrivalled geometric accuracy on every plot for perfect side to side registration. UCAMCO Photo plotter are available in various throughput and fine-line capability models to best suit our customer’s photo tooling production needs. High Speed communication link designs are becoming ever more challenging. The fast pace development of semiconductor and IC technology combined with the ever increasing data rates have added to the challenge. 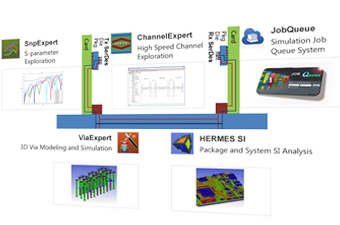 Xpeedic’s High Speed SI solutions provide a fast and accurate way to model and simulate the discontinuities along the path and optimize channel performance. 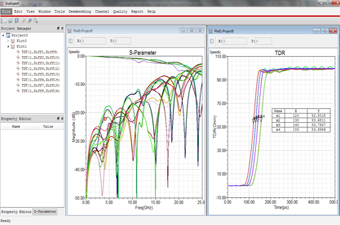 SnPExpert – SnpExpert provides a quick way to understand the electrical characteristics of the passive interconnectors in a system by not only viewing the S-parameter in frequency domain but also examining them in time domain (TDR). ChannelExpert – ChannelExpert provides a fast and accurate way to address the signal integrity issues arising from cascaded network of S-parameter blocks and TML models. 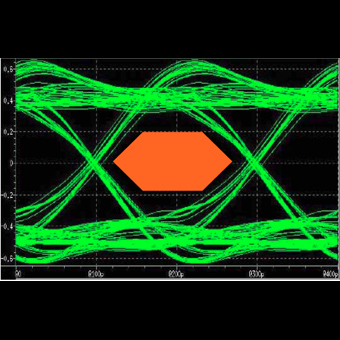 It’s frequency domain cascading technology and 2D-RLCG full wave transmission line solver enables quick and accurate channel simulation. ViaExpert – ViaExpert provides a fast and accurate way to simulate via structures for both pre-layout and post-layout scenarios. The built-in connector footprint database allow users to quickly assemble the via model with connector footprint, breakout region trace, for a given stackup. High speed serial channel design is becoming more and more challenging because of the ever increasing data rate. 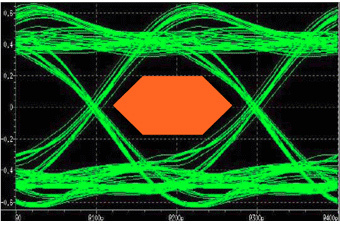 At multi-gigabit per second data rate, channel designers must characterize all the pieces in the signal path from transmitter to receiver including connector, via, and trace, which are typically represented by either S-parameter blocks or RLGC transmission line (TML) model. Conventional SPICE-like circuit simulator has difficulty to efficiently handle the channel with mixed S-parameter and TML models, especially with large number of ports. ChannelExpert provides a fast and accurate way to address the signal integrity issue arising from the cascaded network of S-parameter blocks and TML models. Its frequency domain cascading technology and 2D RLCG full wave transmission line solver enable quick and accurate channel simulation. 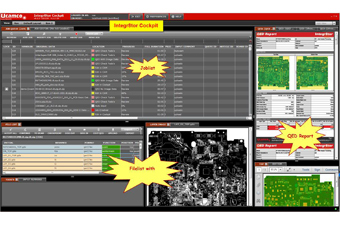 Its intuitive graphic interface lets you easily design, analyze and optimize your high speed serial links for compliance with design standards. Its quick channel build by table allows easy channel setup. Its parametric support enables quick what-if analysis by sweeping different S-parameter models for the channel element. 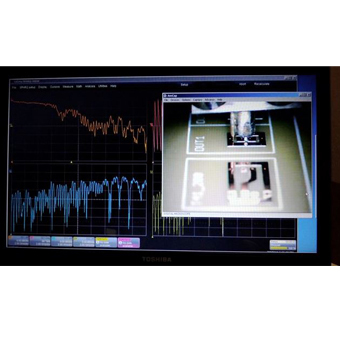 S-parameters, traditionally used in RF/Microwave design, have been widely adopted by high speed digital designs as the multi-gigabit interface continues to advance to higher data rate. 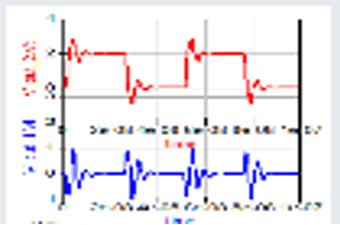 Xpeedic’s SnpExpert provides a quick way to understand the electrical characteristics of the passive interconnectors in a system by not only viewing the S-parameter in frequency domain but also examining the time domain reflectometry (TDR). One-click definition of differential pairs and victim/aggressor setup, together with the built-in NEXT, FEXT, PSXT, ILD, ICR, and ICN, allows user to quickly evaluate the crosstalk. The delay and skew calculator requires no cumbersome circuit schematic setup. Compliance metrics with IEEE 802.3ap, 802.3ba, 802.3bj and OIF CEI 25G/28G standards quickly reveal the S-parameter compliance have been included. Passivity, causality, reciprocity, and stability metrics can be used to determine the quality of the S-parameter. Automatic templates process S-parameter plotting to report in Word or PPT formats. The through-only de-embedding method helps SI engineers to quickly obtain the DUT characteristics by removing the fixture effect. 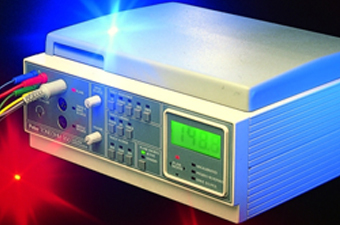 The 2D RLCG full-wave solver enables quick and accurate transmission line characterization. Impedance discontinuities in the signal path can have a significant impact on signal integrity for high speed channel design. Among the many discontinuities, via discontinuity is one of the critical ones which requires careful consideration in channel design. Three-dimensional full-wave EM simulation is constantly used to analyze via discontinuity. Conventional 3D full-wave simulation approach suffers from various drawbacks including the complex model creation and the long simulation time. ViaExpert provides a fast and accurate way to simulate via structures for both pre-layout and post-layout scenarios. The built-in connector footprint database allows users to quickly assemble the model with connector footprint, breakout region trace, and a given stackup. Optimized mesh function improves simulation speed and precision. Fast 3D FEM solver offers better fidelity and quality. Fast Hybrid solver offers better capacity and speed compared to other tools in market. Multiple ways to create models or import Allegro brd. Auto port generation simplifies EM analysis setup. Support parametric and optimization sweep simulation. 3D-View makes the model check easier. Export to HFSS and CTS. SnpExpert displays S-parameter and TDR. 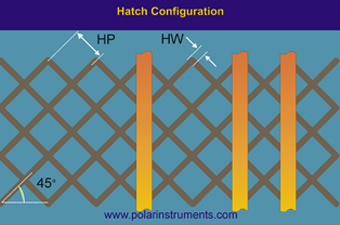 Polar's world famous Toneohm 950 helps to identify different types of shorts on a loaded / bare circuit boards. It’s unique Vector Plane Stimulus (VPS) technique enables to identify plane to plane or track to plane shorts in quick time. Toneohm 950 is widely used in the PCB repair, troubleshooting and manufacturing industry for short location. More.. This powerful CAM software is designed to be fast and accurate. It comes out of the box with automation that is designed to get you CAMMING with zero defects. There are powerful tools inbuilt to tackle most defects that a customer could encounter during CAM data preparation. Some of the many features include Smart drill tool manager, netlist comparison, legend and coverlay optimizer, multi-net visualizer and Gerber RS-274X optimization. UCAM CAM++ reduces job cycle times with powerful CAD links, fast and error-free tool generation and automated integration with costing and planning systems. This results in significant improvement in productivity and process yields. This one-day class shows you how to design power distribution networks including board stack up, capacitor selection and mounting design. There are many myths associated with power integrity: just use 3 capacitors per pin, use as large a capacitor value as you can, stack capacitors on top of each other to get them closer to the device, or use short surface traces from the capacitor to the power pin. The way to separate myth from reality is by putting in the numbers. A key feature of this class is illustrating how to apply analysis tools such as rules of thumb, approximations, SPICE and 3D field solvers to provide guidance in achieving first time success. More..
© Polar Instruments (Asia Pacific) Pte Ltd, 2010-19 All Rights Reserved. All trademarks recognized & held by their respective owners. Disclaimer.